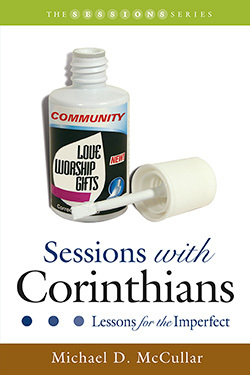 Sessions with Corinthians is a ten-session study designed to provide a compelling preview of the books of 1 & 2 Corinthians. Each session is followed by a thought-provoking resource page of questions that allow for a deeper experience of the scriptural passages. These resource pages can be used by seminar leaders during preparation and group discussion, as well as in individual Bible study. Michael McCullar takes readers on a journey through Paul’s two letters to the church in Corinth. The letters reveal foundational teachings of the Christian church on services, unity, worship, conduct, marriage, spiritual gifts, and the exercise of love as a basis for living. All are well-designed as lessons for imperfect people living in an imperfect world.